The Haftorah is read from the Book of Shoftim (Judges) Chapters 4 (The story) and Chapter 5 (The Song) for Ashkenazim; Just Chapter 5 for Sephardim. 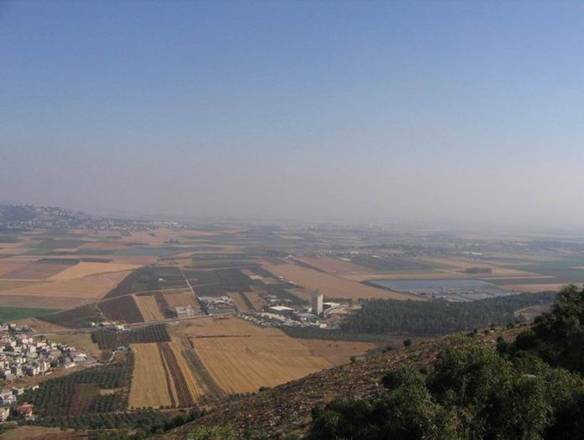 The Jezre’el Valley is where this week’s Haftorah took place. 10,000 Jewish soldiers were able to stop the invincible general of the Canaanites, Sisera and his 900 “Tanks”. As they rolled down the hill in the picture, Hashem made a miracle happen-a flashflood came and the earth became muddy. The Israelites were able to kill everyone except Sisera. Read on to see what happens to him! The connection of the Haftorah to the Parsha: The Parsha of Beshalach contains the song that Moshe sang at the Yam Suf (Sea of Reeds), after Hashem rescued the Nation of Israel from the Egyptian army. The Haftorah contains the song that was sung after Deborah defeated the Canaanites. The storyline of this week’s Haftorah: The Israelites sin by worshipping idols and are subdued by the Cana'anim (Canaanites). The Prophetess Deborah, wife of Lapidot, becomes the leader of the Jews. Lapidot, means “flames”. He was called that because he would prepare the wicks for the menorah in the Mishkan, which was in Shiloh at the time. Deborah sends Barak a prophetic message to wage war against the Canaanites. Hashem confuses Sisera's camp with a flash flood rainstorm, killing all his men. The enemy is defeated; just one person remains, general Sisera. Sisera flees for safety to the tent of Yael the Kenite. Moses’ father-in-law was from the Kenites. The Kenites were friendly with both the Israelites and the Canaanites. When Sisera gets to Yael’s tent he asks her for some water. She gives him warm milk instead. He falls asleep from the milk. Yael then takes a spike that was holding her tent in place, and drives it through his temple, killing him. The Victory Song of Deborah - Shirat Devorah Deborah's Song - 5:1-3 Introduction: Devorah sings praises to Hashem. She tells us that Torah study and observance brings victory to Bnei Yisrael. 5:4-5 Without learning Torah we would have lost and our enemies would have won. 5:6-13 Deborah's Song begins with the description of Matan Torah (The Giving of the Torah). Deborah instructs the people of Israel to resume doing circumcisions again, resulting in Hashem blessing Israel again. When you want evil decrees to be reversed, praise Hashem. Devorah thanks Hashem for the most recent victory and for Hashem's protection from their enemy. 5:14-18 Devorah sings a praise for the Jews who joined her in the battle and condemns the tribes who did not. 5:19-22 The miracles of the war are recalled. 5:23-27 Meroz is cursed and Yael is blessed for killing Sisera. 5:28-30 Devorah concludes her song by recalling the false hopes that were in Sisera's camp. This miraculous event broke the power that King Yavin had over the Israelites. Was one of the 7 Prophetesses and knew the secret of divine wisdom. She experienced prophecies for 40 years. Served as Shofettet (female judge) and leader of the Israelite army. She sat under a palm tree in order to avoid seclusion with men. 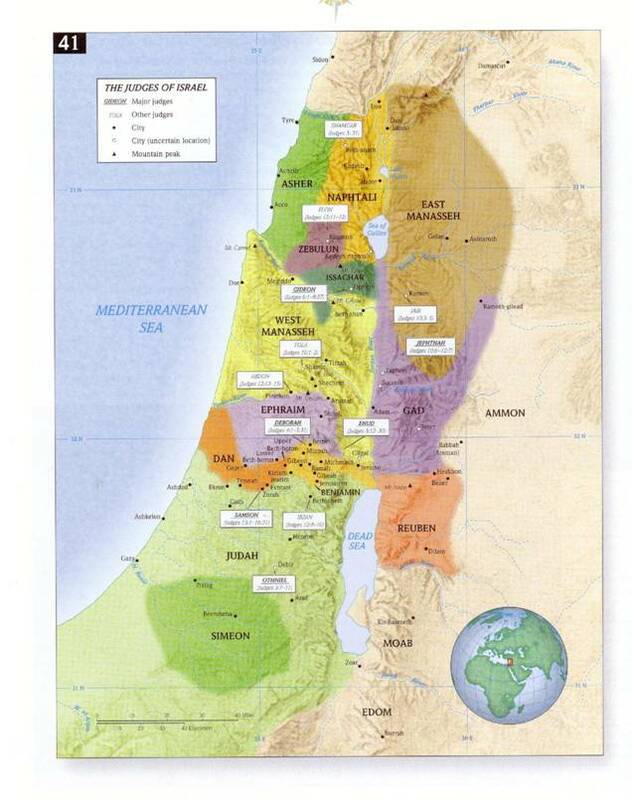 Lived in Atarot, from the tribe of Naftali, during the latter half of the 12th century BCE. Her husband was called a Lapidot (Wick Maker). Deborah was independently wealthy. She owned palm trees in Jericho, orchards in Ramah, and oil producing olive trees in Beit-el. The Mishkan was in Shilo at the time. Famous Phrases: Shoftim 5:31, “Kain yovdu kol oivecha Hashem” “So should be destroyed all your enemies, Hashem”. Haftorahman’s lesson of the week: In the midst of Deborah’s Victory Song, prophesy departed from her and she struggled to reconnect to it as the verse reads, “Uri, uri Devorah” “awaken, awaken Devorah.” This happened as a result of her haughtiness, when she credited herself with the salvation over Sisera’s army. Thus, we learn: Regardless of stature achieved, be careful not to let our successes get to our heads. Timeline: This story occurred about 3125 years ago. Samuel was the last of the Judges of Israel; Deborah lived about 175-200 years before him. Map: The location of this Haftorah is Mt. Tabor.